Golf fans still can’t get enough of Arnold Palmer. 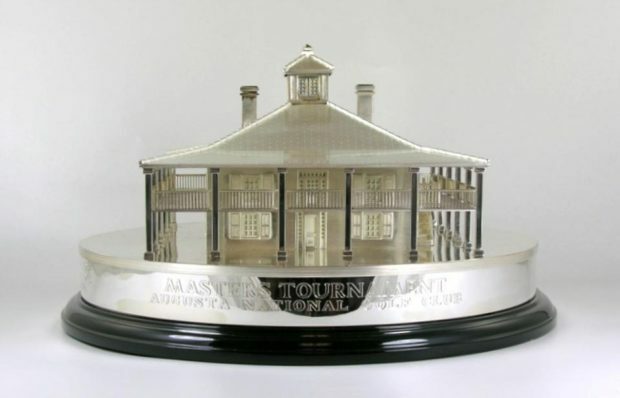 A trophy that Palmer retroactively received for one of his four victories at the Masters Tournament sold for $444,012 at auction, the second-highest price ever for a piece of golf memorabilia. It trails only the $682,229 price tag for a Masters green jacket won by Horton Smith, a piece of history that was auctioned off in 2013. Both were sold by Green Jacket Auctions, which had given Palmer’s Masters Trophy an estimated value of $250,000 prior to the two-week auction. Palmer, who died in September at the age of 87, won Masters titles in 1958 1960, 1962 and 1964. He later received four 20-pound sterling silver trophies (13.5 inches wide by 6.5 inches tall) that are a reproduction of the clubhouse at Augusta National. The club started making the trophies to accompany the green jacket in 1993.